As a pinnacle member of Bali‘s fast-growing hospitality scene, Daniel Mitchell is quite literally living in a tropical paradise. 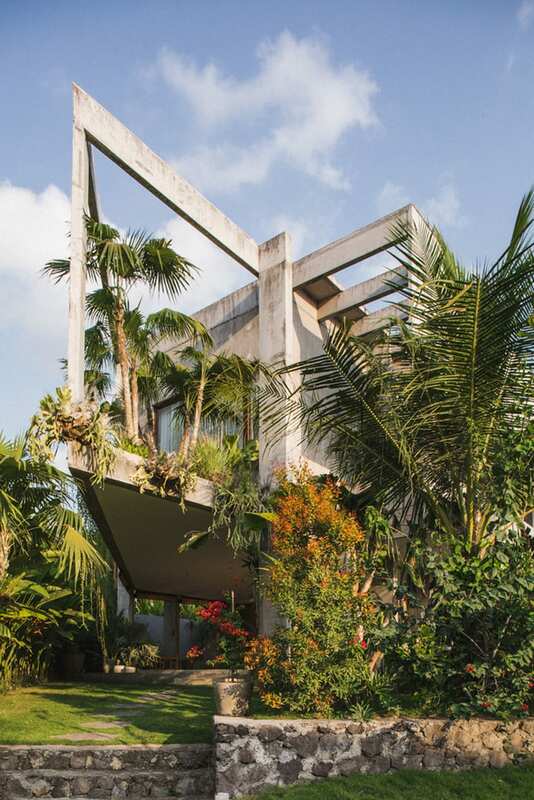 The Creative Director of the Potato Head Group, which includes the eponymous beach club and Katamama Hotel, embodies the ‘tropical soul’ ethos instilled throughout his work. Seriously, just looking at this house feels like going on holidays! 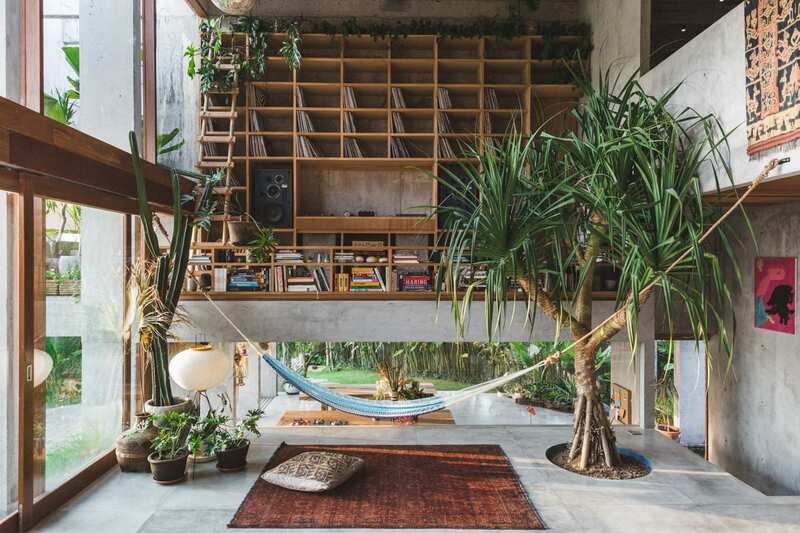 The 512-square-metre residence took three years to build and was completed in 2017 by Bali-based architecture firm Patisandhika. 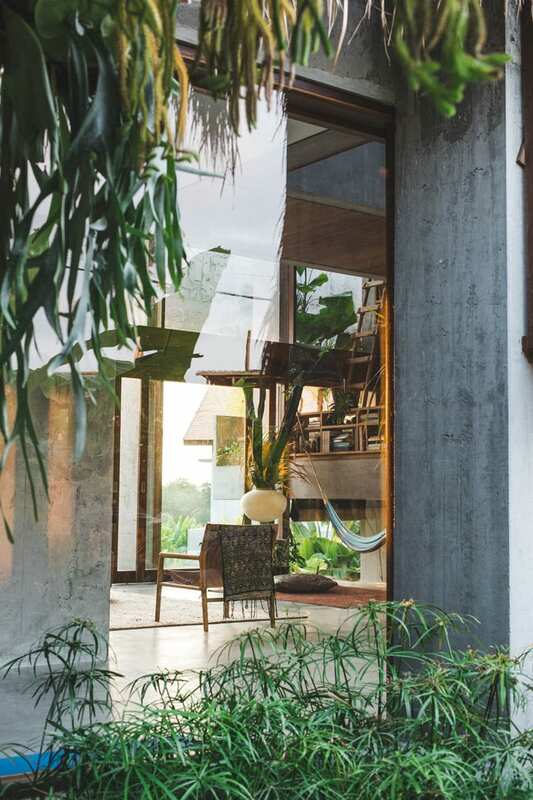 The design displays a deep understanding and respect for Balinese culture combined with fearless creativity. 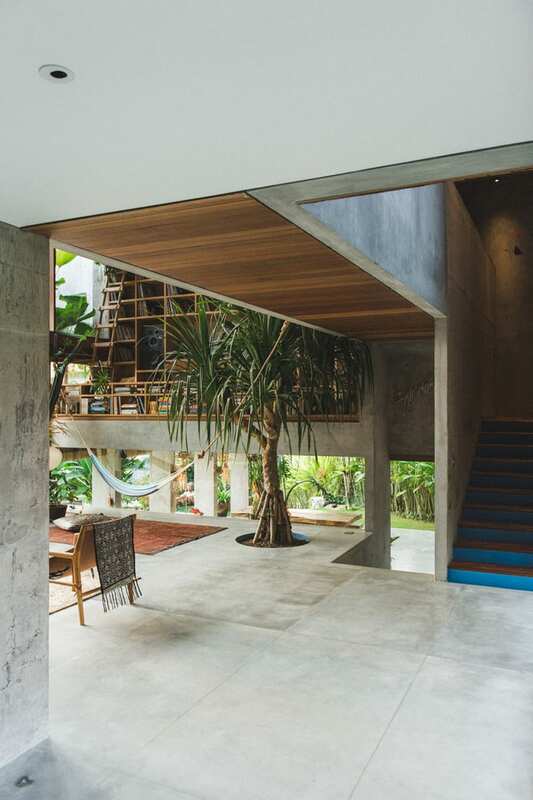 Timber and concrete were the dominant materials used for both the interior and exterior of the home. The materials were chosen to maintain zen simplicity throughout the space, letting the lush abundance of nature do all the talking. 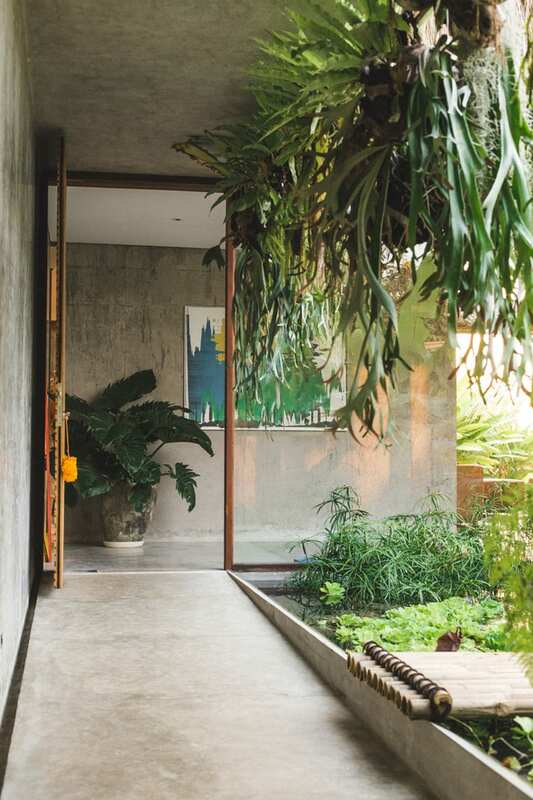 The outdoor landscape is intentionally overgrown to soften the solid concrete exterior. The concept is to let it continue to grow over time into an unruly, organic aesthetic. 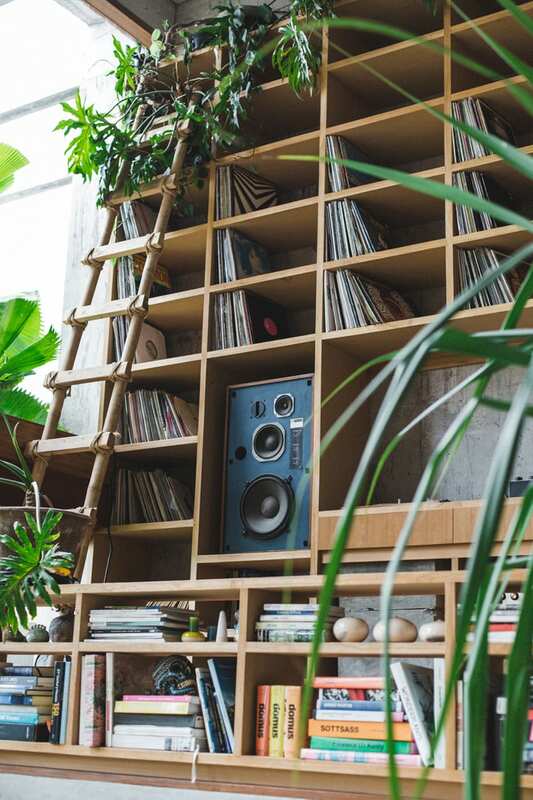 These verdant surrounds are brought inside as much as possible, too. 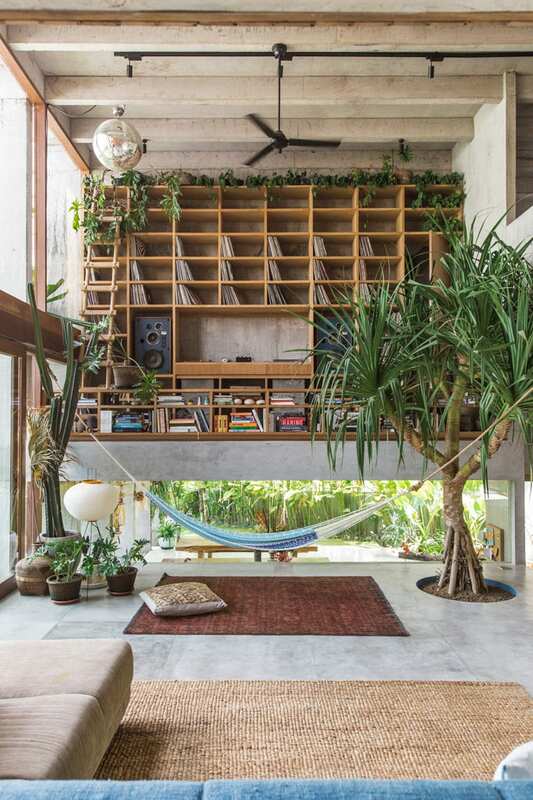 In the living room, a hammock hangs between a cactus and a native Pandanus tree, planted permanently thanks to a sunken circular pot built-in to the concrete floor. Hand-made textiles dyed with natural pigment from local plant life, similar to those found at Katamama, feature throughout the home. Decorative rugs drape prominently over a bridge above the living room, which connects the second-floor bedrooms. Warm, sunset orange is a recurring colour throughout the residence, appearing in art, on bedspreads, and as a feature wall. Split levelling throughout offers unique views of the space from every room, and double-height glass windows guarantee an abundance of natural light. 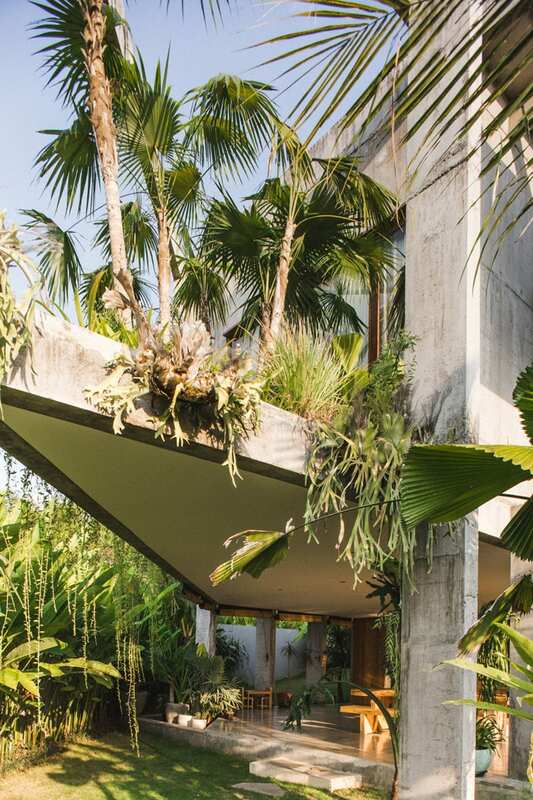 However the Balinese sun is strong, so an overhanging concrete slab shelters the Mitchell family from too much direct heat penetrating through. 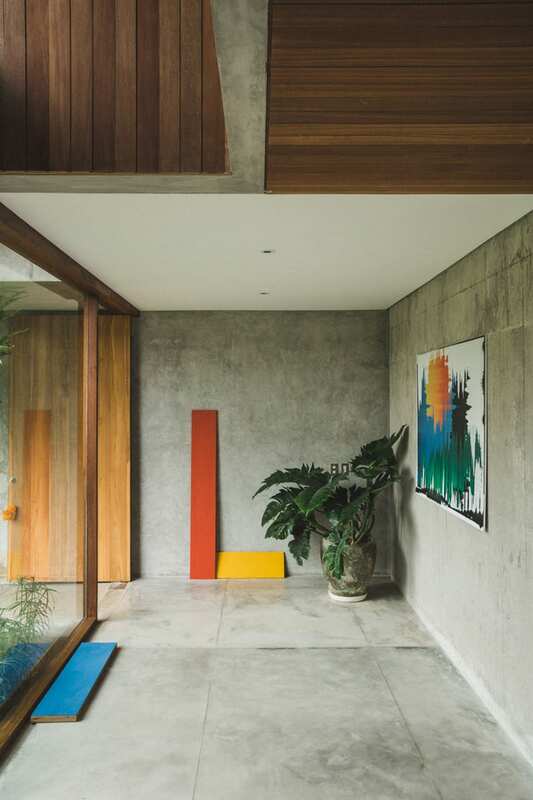 The architects designed the functional slab to add an intentionally Brutalist touch to the home. 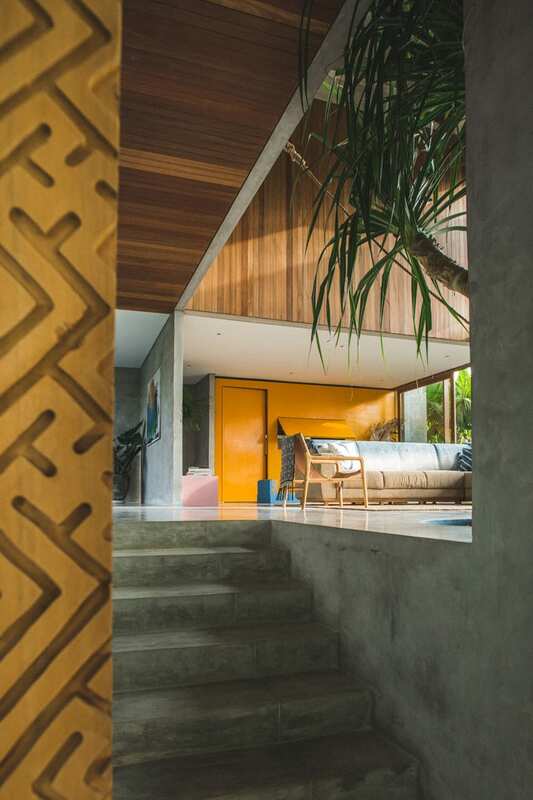 The post Daniel Mitchell’s Concrete House in Bali by Patisandhika. appeared first on Yellowtrace.